Now that the Halloween decorations have been stowed away and the turkey has been eaten, it’s time to think about Christmas (or Solstice or Krampus – whatever). For those of us who are going to have a very frugal Christmas this year, it may mean that you’re making your gifts, creating experiences instead of “stuff,” or sneaking in with the stealth of a ninja to snag some deals before the crowds are wise to it- which requires planning. Ironically, I’ve recently become committed to a minimalist lifestyle (see my video series on the subject), so a frugal Christmas is definitely on the books for me. Here’s how I am planning on doing it. 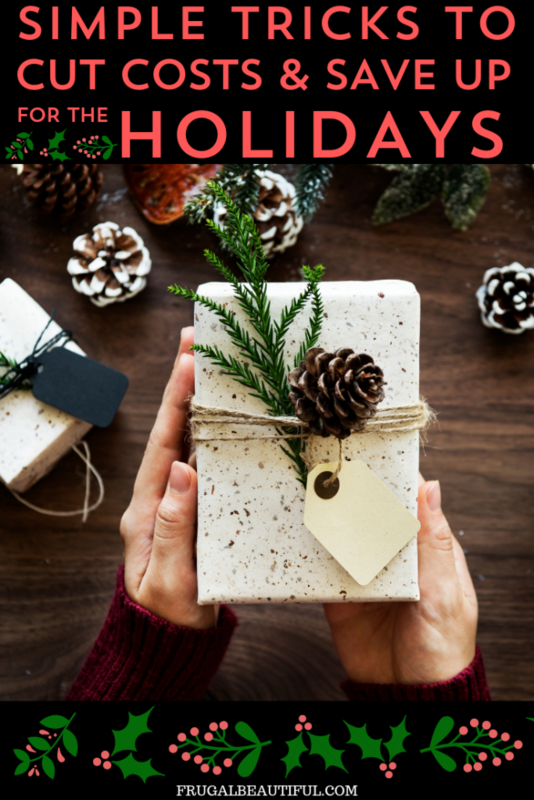 You can make the holidays more meaningful and less consumerist (I don’t know about you, but I avoided Black Friday lines!) by scheduling time in for crafts. Yes, it can get pricey, but if you batch your crafts and buy in bulk, you can avoid things being “Pinterest perfect” and really, just have fun with it. A mason jar cookie mix doesn’t have to be embellished with expensive stickers or in fancy containers- have fun and don’t worry about matching what you see in magazines this year! And if you’re looking to up your game from some simple cookie mixes, check out our DIY Cocktail Mason Jar Ideas. Yes, this is the un-fun time you get to count up all of the Christmas parties you typically attend and figure out what the costs will actually be. Come to the table ahead of time with money saving ideas that gets everyone on board with frugality before you’re the odd (wo)man out- perhaps exchange names instead of buying for everyone, or do a cookie exchange instead of a gift exchange. If those aren’t an option, guesstimate how many parties you attend and what each could cost, and set aside the cash throughout the year. In July (I know, I know!) I set aside an automatic transfer each week of about $12 a week, so I will have almost $250 by the time St. Nick comes down my chimney. Additionally, if you know you’ll need to come with a gift in hand, you can buy those now- stocking up on wine, candles, soaps and coffee beans that aren’t “holiday,” can mean you snag really good deals in the clearance section. I usually grab a few bottles of wine- red, white and some sparkling, for a quick hostess gift…plus, they don’t always need to be bagged, just adorn them with leftover tinsel or twine. I personally am a fan of Capital One 360 checking and savings accounts. They’re totally online, meaning there are less fees than a typical bank. Not to mention you will earn up to $100 just for signing up and using their services. Check out Capital One 360 here for more details on all of the accounts they currently offer, as well as their sign-up bonuses. 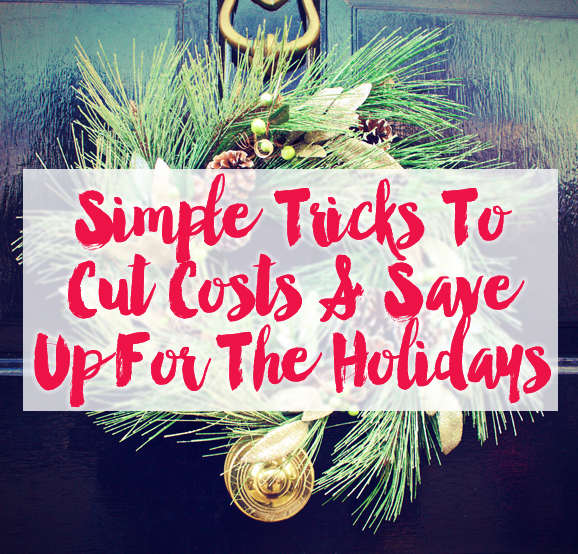 Now that you’ve set a budget and set money aside, you can follow these tips to stay under budget this holiday season! Before the storms hit, be sure you’ve winterized your car and have ice equipment and a shovel on hand. Even if you’re not snowed in, a neighbor might be- and the easiest way to get on Santa’s “good” list is to help one another and be prepared with extra salt, shovels, ice scrapers, and blankets in case someone is in need (and so you don’t get stuck in the snow when driving around for winter errands). Additionally, with trees, lights and ice- your home can become a dangerous place. Follow these home safety tips for the holidays as you prepare and decorate for Christmas. If you have pets in your home, it’s key to be aware what special and alluring dangers are pretty for you, but deadly for your pet. Pet safety is something to consider this time of year as you decide what plants and lights to bring into your home after Thanksgiving. Being prepared will save you time and money- and mostly, the stress that can come with the holidays. Happy holidays! It’s good to plan ahead! I really will try some of these tips. I have two cats and one dog in my home. I hope the “pet safety” article will be helpful for me. Nice post! Very helpful information. Thanks for sharing it and Happy Holidays!